The first hunter of the Healing Church and founder of their workshop. 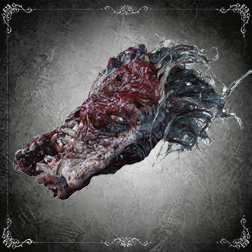 Though Ludwig dedicated his life to the good of his fellow hunters, he ultimately became victim to curse of blood and beasts, eventually becoming trapped in the nightmare like so many after him. 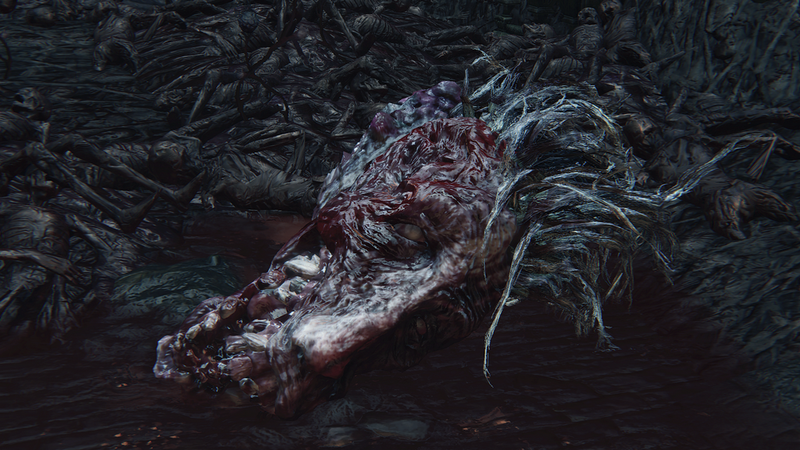 Though completely transformed when you first encounter him, deep down Ludwig still retains his pride as a hunter and will rediscover his guiding light for one last hunt, partially regaining his humanity mid-battle. If you are wearing Healing Church attire when you speak to him after his defeat, he will implore you to validate his sacrifices and enable him to finally rest in peace; whether you choose to tell him a merciful lie or the bitter truth is your decision alone. Hunter's Nightmare Underground Corpse Pile, next to the stairs after you defeat him. 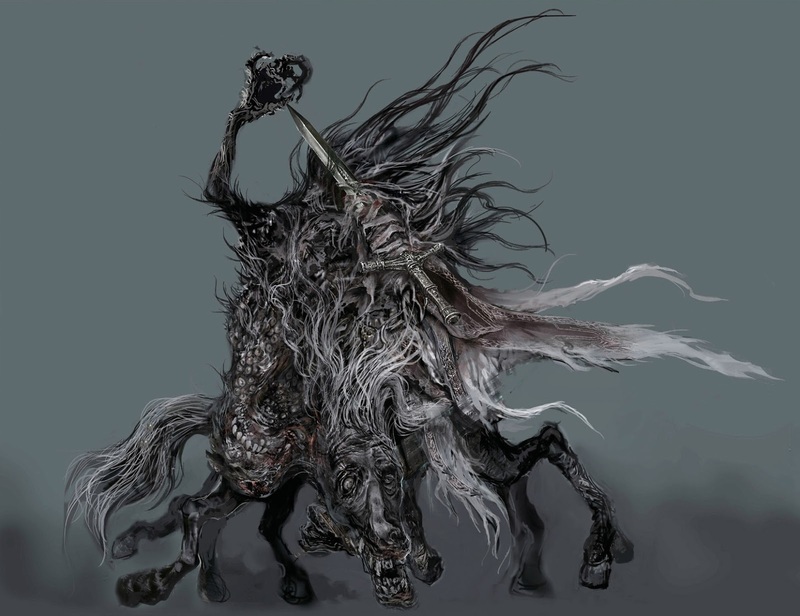 After being defeated in battle, Ludwig's head will remain on the ground to the left of the stairs leading to the exit. If you speak to him while wearing non-Church attire he'll offer a few lines of dialogue, then fall silent; in this case you'll need to finish him in order to obtain the Holy Moonlight Sword. If you're wearing a Healing Church garment in your body slot, Ludwig's dialogue will change and he'll offer you a yes/no prompt; answer yes and he'll give you the sword immediately. If you answer "no" and reload the area, the Simon, Seeker of Secrets will show up and finish Ludwig; at this point you can obtain the sword by speaking to the Seeker. Healing Church clothing, to earn Ludwig's trust and to recognize you as a member of the church, you must equip one of the following pieces of "Body" attire before initiating conversation: Black Church Garb, White Church Garb, Choir Garb, Executioner Garb, Tomb Prospector Garb or Gascoigne's Garb. It will not drop Blood Dreg when Corruption Oath Caryll rune is equipped. 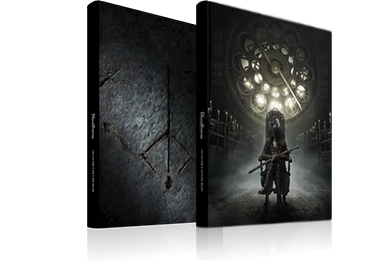 Tell me, good hunter of the Church. spartans I hoped they would be? Ahh, good... that is a relief. Now I may sleep in peace. Then a beast-possessed degenerate was I, as my detractors made eminently clear. Does the nightmare never end?! Good hunter, have you seen the thread of light? steeped as I was in the stench of blood and beasts. I never wanted to know, what it really was.